Discover this wonderfully peaceful sanctuary in the heart of Auckland. Wander through the 5.5 acre award-winning garden on the side of Mt Eden. 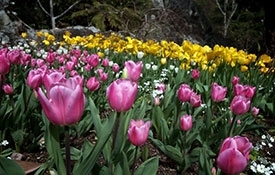 Take a day or an hour to explore the many plant collections including perennials, vireyas, camellias, bromeliads and native New Zealand plants. There's always something in bloom. Enjoy the waterfalls, rock formations, resident native birds and fabulous city and harbour views. 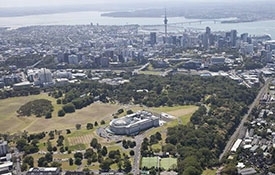 Auckland Domain is Auckland's oldest park and one of the largest. Developed on 75 hectares around the cone of an extinct volcano, the 'tuff rings' created by volcanic activity can be seen in the land contours and forms a natural amphitheatre. 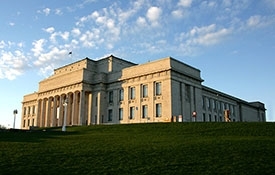 Auckland War Memorial Museum and the Wintergardens are located within the domain. 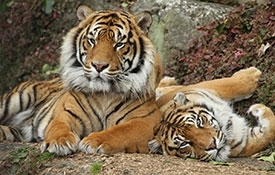 Auckland Zoo is home to the largest collection of wildlife in New Zealand (more than 1000 animals and 120 species), set in 17 hectares of lush parkland and just minutes from central Auckland. There is lots to see and do all year, including events, animal encounters, behind-the-scenes experiences and more! Auckland War Memorial Museum Tamaki Paenga Hira tells the story of New Zealand, its place in the Pacific and its people. The museum is home to millions of objects and is one of the country's most popular man-made tourist attractions. 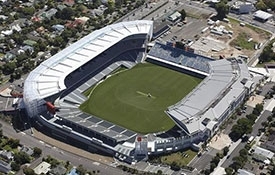 While Eden Park is most notably remembered for hosting the 2011 Rugby World Cup Final, it has been the home of Auckland Cricket, Auckland Rugby and international events since the early 1900s. With state-of-the-art facilities and services, Eden Park successfully hosts sell-out crowds of up to 50,000 on match days and many non-match day functions. 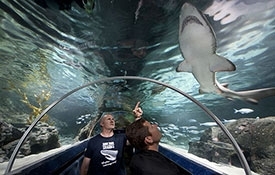 Take an underwater journey through the world-famous Kelly Tarlton's Sea Life Aquarium and discover a diverse collection of aquatic life up close. 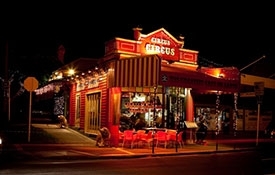 Mt Eden offers a large range of restaurants and cafés.